If you were in Chicago the past few days you know it has been way too chilly to wear this outside all day. I took this photo Sunday for the City Chic blogger look book. When it's up on their site I'll be sure to post a link. 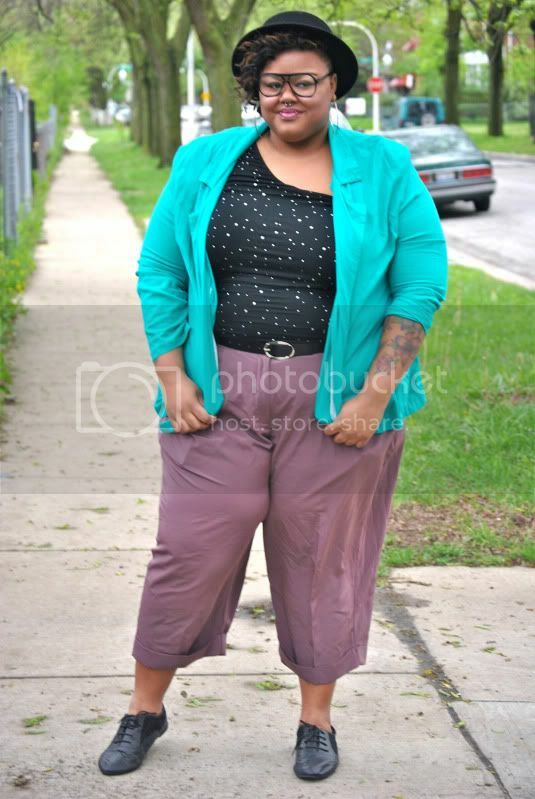 I love these oxfords by Torrid. Their shoes usually hurt my pinky toe, but these are comfy and I like the lace panels on the side. This is a outfit I wore to run errands. The silky scarf was sent to me by Evolve last year. Up until recently I didn't know what to do with it, but one day I almost bought a leopard turban head band from Asos, but thought about tying this as one instead. I love that this scarf is silky and doesn't pull on your hair. Also, I love these comfort choice tights. It has been so hard for me to find a good pair of opaque tights that last longer then one wear and these are perfect. 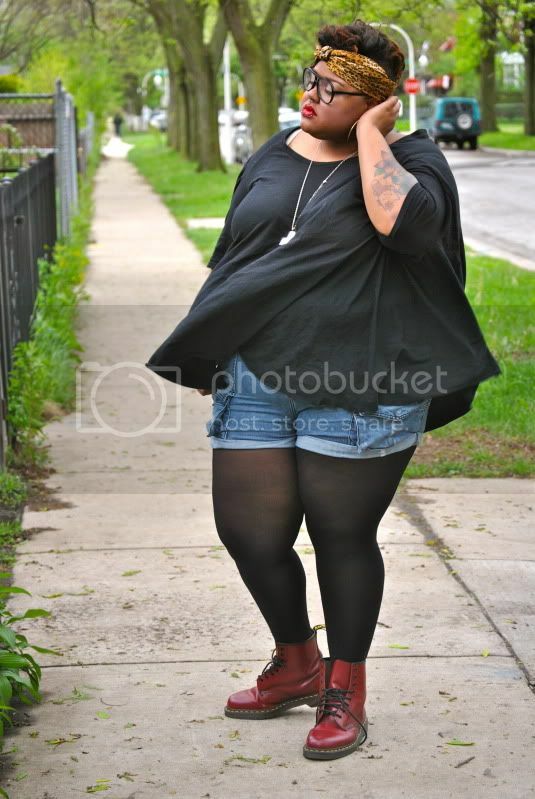 The oversized beth ditto top is perfect for just throwing on and running out of the door.